PMI will releasing the longly awaited PMBOK® Guide - 6th Edition on 6th September 2017. CMI is approved as a provider of project management training by the Project Management Institute (PMI) with trainers who are PMP® Project Management Professional credential holders. From 1 October 2017, the PMP exam preparation course offered by CMI will reflect the new changes so that students are equipped to complete the new tests from 1 January 2018. September, 6th 2017. PMI will publish the PMBOK® Guide—Sixth Edition in ten translations on September 6th, 2017. The book will be available in the PMI Bookstore from September. Q1 2018. PMI will change the PMP® exam in the first quarter of 2018 – Exact date TBA. PMP® Exam Change. PMI will update the PMP® exam to harmonize with the new sixth Edition. For example, changes to terminology in the Sixth Edition will be made to the PMP® exam to align the two and remove discrepancies. The RDS. It’s important to note that two factors lead to changes in the PMP® exam: (1) updates to the PMBOK® Guide, and (2) changes in the PMP® Examination Content Outline. The PMP Examination Content Outline only changes when PMI commissions a Role Delineation Study (RDS). The last RDS was conducted in 2015, so exam content outline will not be updated with the release of the PMBOK® Guide Sixth Edition. PMI conducts an RDS every 5 to 6 years. The Role Delineation Study is well covered in Appendix A of the Project Management Professional (PMP)® Examination Content Outline. Although many of the domains, tasks, knowledge, and skills outlined in the PMP Examination Content Outline are also covered in the PMBOK® Guide, there are some that are unique to the PMP Examination Content Outline. Candidates studying for the examination will certainly want to include the current edition of the PMBOK® Guide as one of their references, and would be well advised to read other current titles on project management. An excellent source of these titles, utilized in PMP® examination development, is found in the PMI member resource eReads and Reference. Updates to both, the PMBOK® Guide and the PMP Exam Content Outline, leads to a PMP® exam update. The problem is that the PMBOK® Guide and the Content Outline are not updated at the same time. Their updates are staggered by 2 years. Every time the PMBOK® Guide is updated, the Examination Content Outline catches up two years later. CAPM Exam Change. The CAPM® exam is tied very closely to the PMBOK® Guide. PMI anticipates making significant changes to the CAPM® exam related to the Sixth Edition. The CAPM exam changes should be implemented in Q1 2018, as well. PMI-ACP Exam Change. Along with references to agile in the PMBOK® Guide, PMI will also be releasing the new Agile Practice Guide in Q3 2017. Following this, the PMI-ACP Exam will be changing in Q1 of 2018. The draft updates from PMI emphasize the importance and relevance of agile and other practices to be introduced. 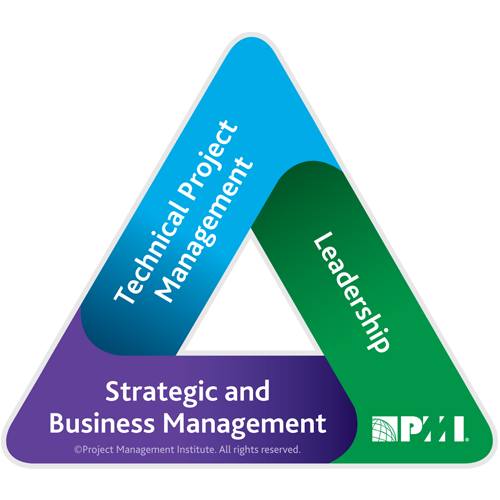 The PMBOK® Guide –Sixth Edition will contain a new chapter on the role of the project manager which discusses the PMI Talent Triangle™ and the skill sets organizations demand that make project managers more competitive and relevant—technical project management, leadership, and strategic and business management. Many key concepts addressed in the first three chapters of the PMBOK® Guide _ Sixth Edition are covered, in abbreviated form, in Section I of the Standard. Section II of the Standard contains a description of the project management processes, organized by Process Group, along with their key benefits, inputs and outputs. The Agile concept is incorporated in all 10 knowledge areas. Each knowledge area will contain a section entitled Approaches for Agile, Iterative and Adaptive Environments, describing how these practices integrate in project settings. The first 3 chapters of the book have been completely rewritten to highlight importance of project management’s role in the business value creation and any organizational change. In the new edition, the role of the project manager has been expanded as a leader, business expert and strategic thinker. The PMBOK® Guide itself is taking on more of a voluntary instead of mandatory tone in some areas. For instance, for Requirements Collection, they might now say something to the effect that, “Here is a list of possible choices of tools. Choose any of these that best might fit your current project." There will be various notations throughout the new PMBOK® Guide differentiating between processes which are “Ongoing” (continuously executing) vs. "Non-ongoing processes.” This concept will be emphasized for the first time in new PMBOK® Guide Sixth Edition. There will be various notations throughout the new PMBOK differentiating between processes which are “Ongoing” (continuously executing) vs. "Non-ongoing processes.” This concept will be emphasized for the first time in PMBOK Guide Sixth Edition. concept will also be emphasized for the first time in PMBOK Guide Sixth Edition. supported by the PMBOK will now include “Earned Schedule Management". There will be distinction between "Communication" (as in communicating between two people) and "Communications" (artifacts, such as published emails). The new Lessons Learned Register is now part of the set of ITTOs. Project Managers will now be encouraged to update on a frequent basis (not just at the end of the project). Updates can be done at any time throughout the project, especially at the end of project phases. This is what we know about the upcoming changes however there may be more. There may be additional revisions and changes until the final version will be released. CMI will be releasing further updates and the first course reflecting the PMBOK® Guide 6th edition - PMP Exam Preparation starts October 2017. It is expected students will sit the new test from February - May 2018.